Nick Hayek, CEO of the Swiss watch giant, told Bloomberg that it will start selling its own smartwatch within the next three months. Although Hayek didn’t get deep into specifics, he said the watch will allow mobile payments, won’t have to be charged, and will work with both Android and Windows software. Hayek’s comments suggest that the watch won’t run Android Wear (which only works with Android phones). And if the battery is non-rechargeable, it’s possible that the watch won’t even have much of a display beyond a basic LCD or LED. Combined with Swatch’s previously-stated plans to add fitness-tracking features to its watches, we could be looking at more of a basic watch with some smart features—similar to watches from Martian and Withings—than full-blown wrist computer. It’s unclear how the payments piece will work, and Bloomberg says Swatch is still in talks with retailers. Last year, VentureBeat reported that Swatch and Apple were actually working together on a smartwatch, but Swatch quickly denied that report. Hayek later said that he wouldn’t rule out collaborating with technology firms in general, but the Bloomberg report makes no mention of tech partnerships. The story behind the story: While Swatch and its fellow traditional watch makers had been skeptical about smartwatches in the past, they’re starting to reconsider as Apple Watch hype builds. TAG Heuer has been hinting at its own smartwatch since last fall, and Montblanc has announced a smart strap that hooks onto existing watch faces. 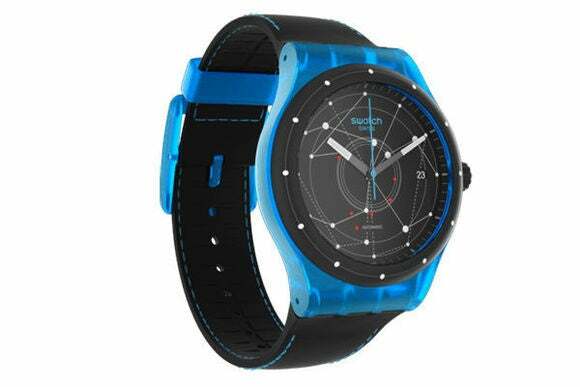 The good news for Swatch is that it won’t face the same pressure to load up luxury watches with smart features that quickly become obsolete. Many of its watches sell for under $200, making them a good fit for some additional technology.